Then last week the country’s biggest political party pulled out the rug from under that certainty in a dramatic policy shift to abandon support for drilling off the Lofoten islands. As calls for action against climate change get stronger, concern is mounting within Norway’s biggest industry that the move could open the floodgates and put the country’s oil licensing policies and generous exploration tax incentives at risk ahead of the next election in 2021. Norway, led by Equinor ASA, has been producing oil for almost half a century, but is estimated to have about half its remaining oil and gas still in the ground. Labor’s shift might not seem like a big deal: the party isn’t currently in government and Lofoten has been off limits for years any way. Yet it matters because Labor has been a faithful ally of the oil industry for decades, and because it raises the possibility that it will cede more ground on oil policy in coalition talks with other parties. Stable and predictable terms have been one of Norway’s main selling points in attracting oil companies. 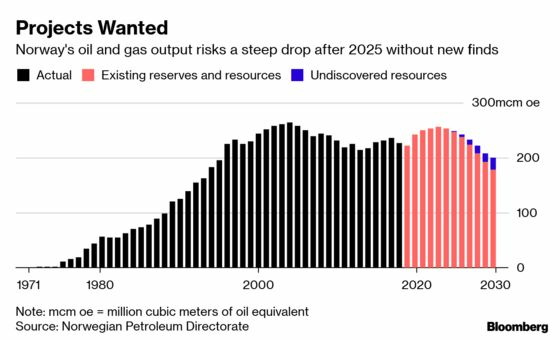 Changes could deepen an expected decline in activity and production in the next decade and bring the Nordic country closer to the end of the oil era that made it so wealthy. The firm no longer ranks Norway as the most stable political regime on its internal list of energy-producing countries, Rystad said (see separate story). Labor’s break frames a broader shift in western Europe’s biggest petroleum-producing nation, where a debate over the oil industry’s future is gaining pace. So far, drilling opponents have failed to win legal challenges against the country’s oil regulations or to make decisive electoral breakthroughs. The governing Conservative and Progress parties remain staunch supporters of the industry, and Labor vows to back current terms. Yet Labor’s own youth wing, which scored a big win with Lofoten, wants to shut the oil industry altogether by 2035. It wants to stop license awards and scrap a rule that lets unprofitable companies claim the tax value (78 percent) of exploration expenses in cash rather than in future deductions -- an incentive that’s attracted more companies and led to important discoveries. Two of Labor’s potential government partners or backers in parliament, the Socialist Left and Green parties, have similar demands and look set for electoral gains. The prospect of a compromise spooks oil executives. Labor’s Lofoten shift is “a frightening development,” said Stale Kyllingstad, chief executive officer of IKM Gruppen AS, one of the domestic industry’s biggest suppliers. Kjell-Borge Freiberg, Norway’s Petroleum and Energy Minister, called Labor’s decision a “betrayal” of the close to 200,000 people working in the oil industry. “There is a fear for what they might give up next,” Freiberg, a member of the Progress Party, said in a phone interview. The uncertainty alone will deter companies considering a Norway entry, at a time when the biggest international oil companies are already turning away from Norway, according to Rystad. Norway already lacks big projects and depends on new discoveries to limit the decline in production expected from the mid-2020s. The bosses of Norway’s oil lobby and biggest industry union reacted with disappointment over the weekend. Yet they said in later interviews they trusted Labor would stand firm on the rest of its oil policy to protect investments and state revenues.